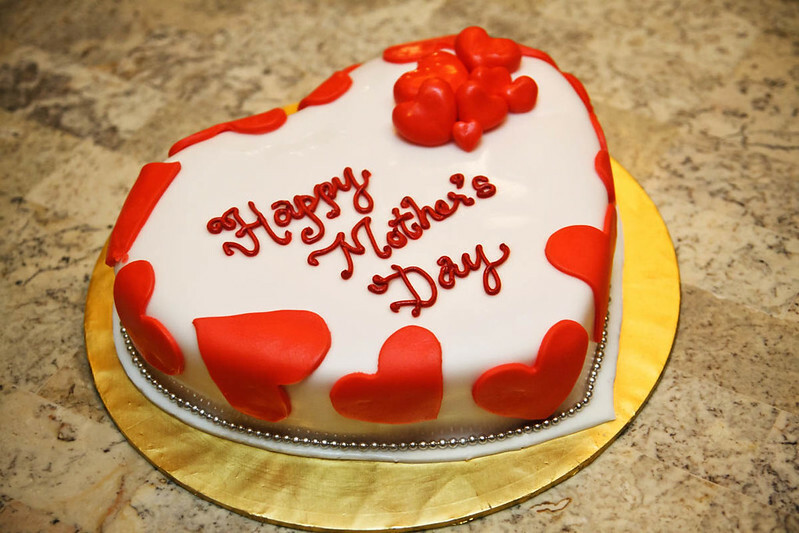 The month of May is just few days away, signifying that Mother’s Day is almost here, faster than you think. Mother’s Day, a special day to appreciate all the sacrifications our mum had done for us, from the moment we start crying, until we grow up to a person who is able to earn a living. She is the one that slave over the stove everyday, preparing meals for us without a single grumble. And this special day, it is our turn to bring mum out for a scrumptious meal, not just to show our appreciation for the life she has given to us, but also to build more quality bonding and sharing with her. Because without her, there’s no us. 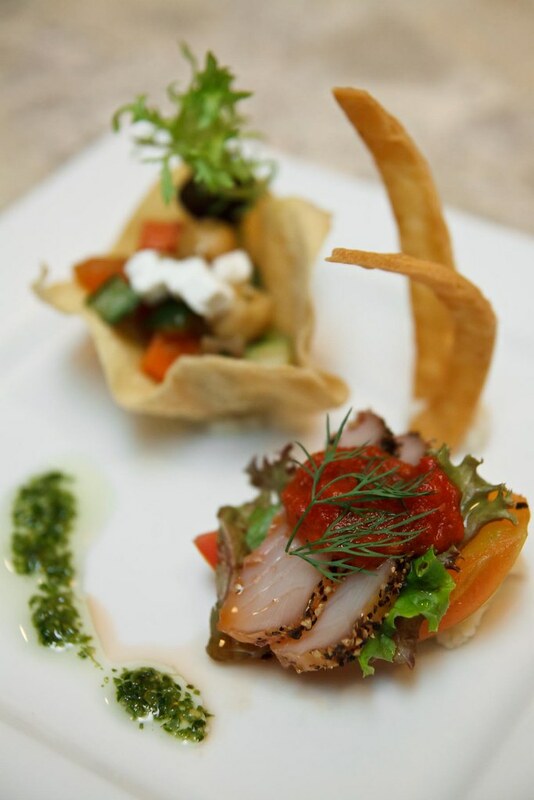 This year, Armada Petaling Jaya’s Executive Chef, Mr Chew and his culinary experts will be belting out a variety of mouth watering dishes for this special occasion. If you are not sure where to bring her, Utara Coffee House Armada is an ideal choice. 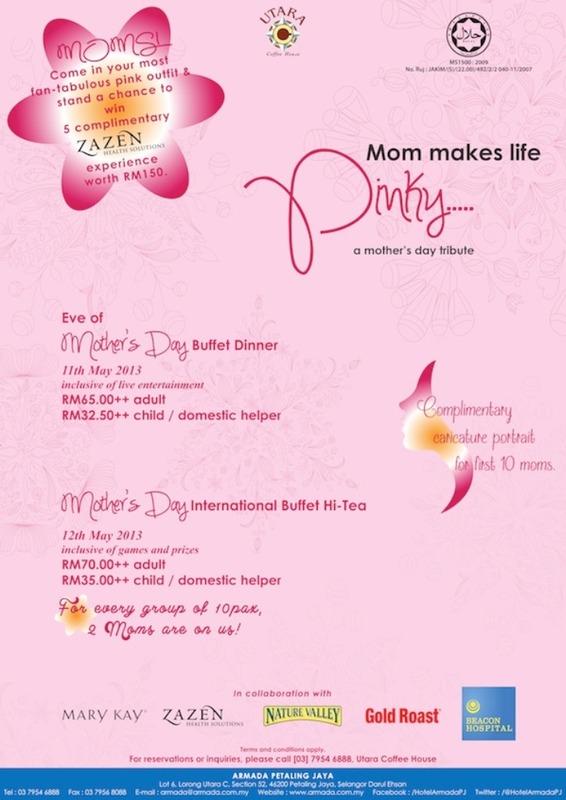 Plan for a Mother’s Day Hi-Tea Buffet on 12th May 2013, priced RM70++ person. 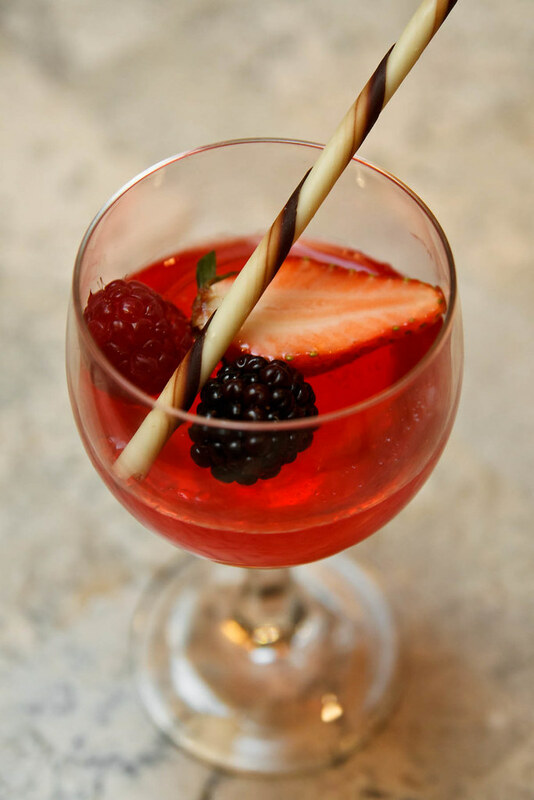 Else, opt for Mother’s Day Eve Dinner Buffet with mum and family on 11th May 2013, priced RM65++ per person. 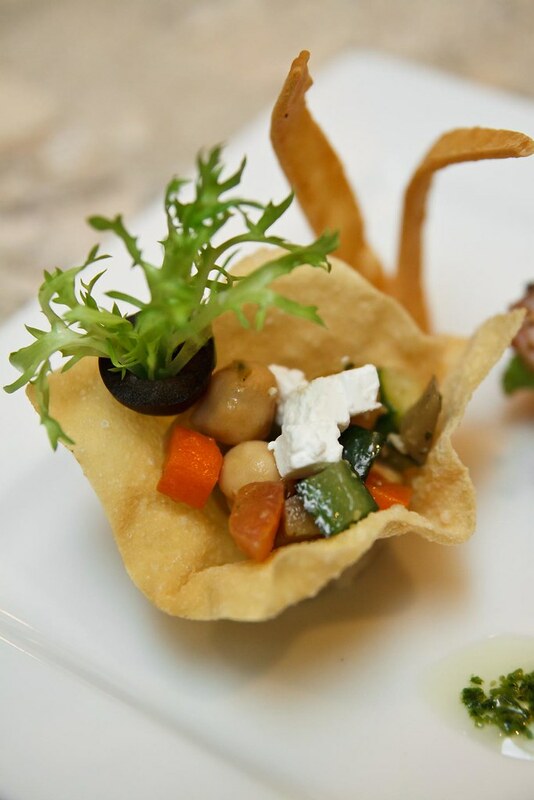 Cubed tomato, cucumber, chick pea, feta cheese pocketed in deep fried wantan skin. A mouthful of texture and juciness. Sitting beside is the smoked mediterranean fish. We like the full flavored smoky, salty sensation. 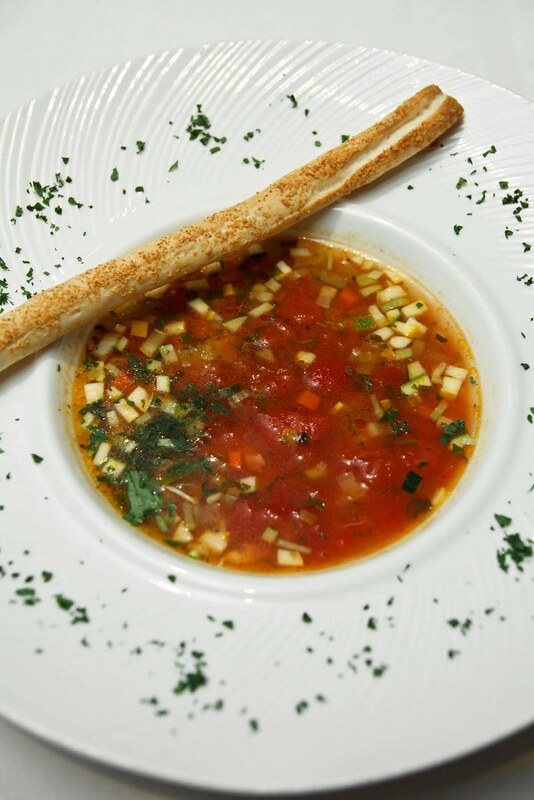 Later, warm up the stomach with a hearty bowl of zesty soup with a mix of shredded chicken, cucumber, tomato. Light and nutritious but promoting piquant herbs and spices flavour which may be too heavy for some. 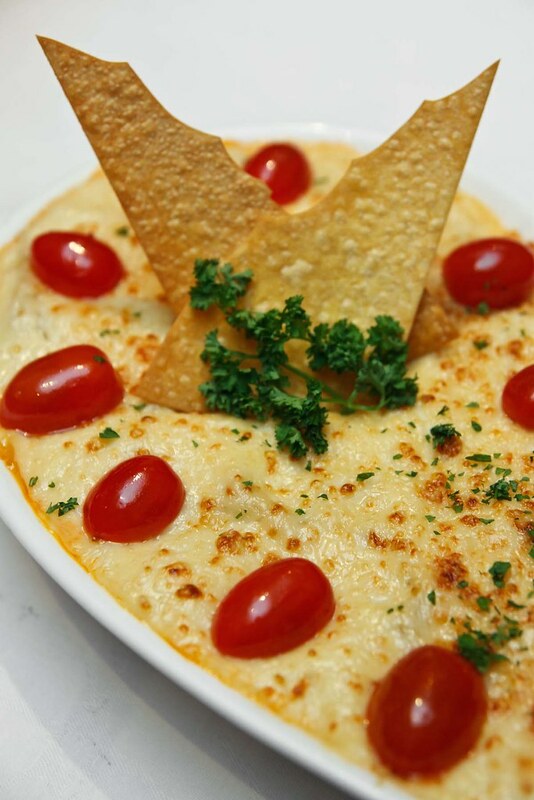 Minced chicken, tomato sauce and lasagna interlacing each other, topped over with extra creamy white cream cheese and baked until golden brown on top. Delicious comfort food. 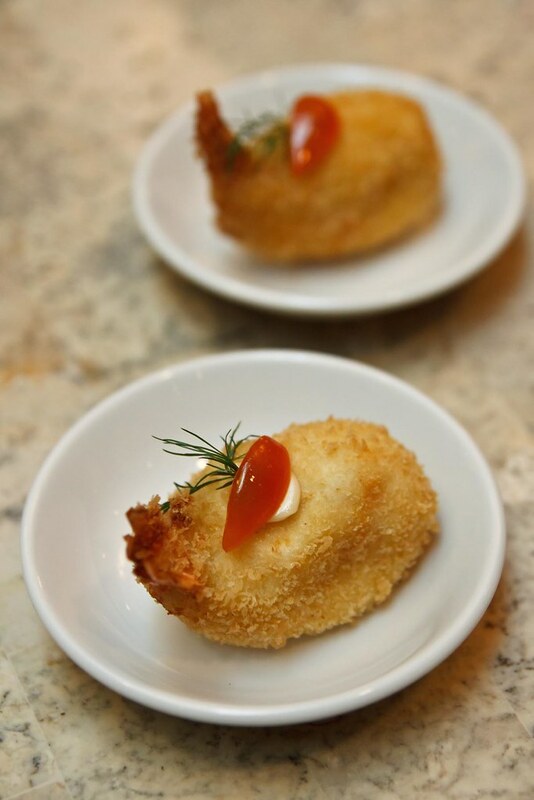 A bite into the pipping hot golden croquettes born a crispy crackling sound, with smooth and creamy mashed potato oozing out from it. Tuck in deeper revealing fresh, bouncy prawn. Love this. 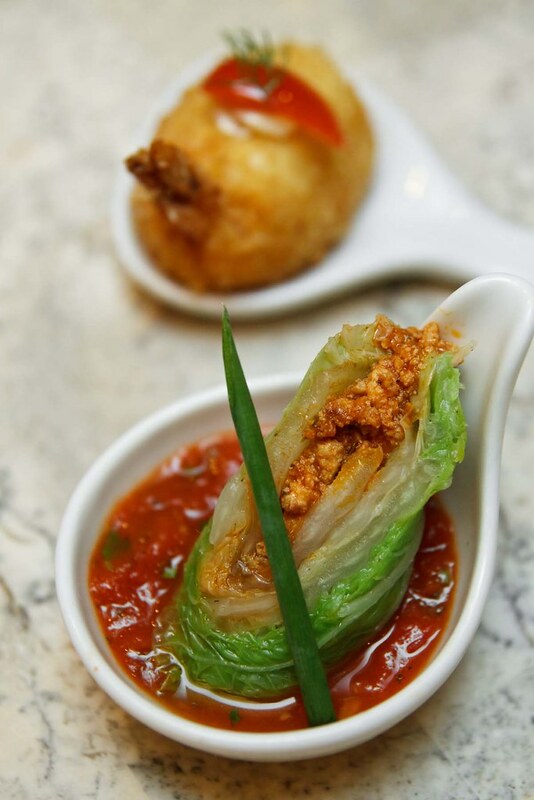 Minced chicken rolled within cabbage, with a bed of tomato sauce to tickle the taste bud. Rather pale comparing to other mains but earns point for it is light, healthy, non-oily. 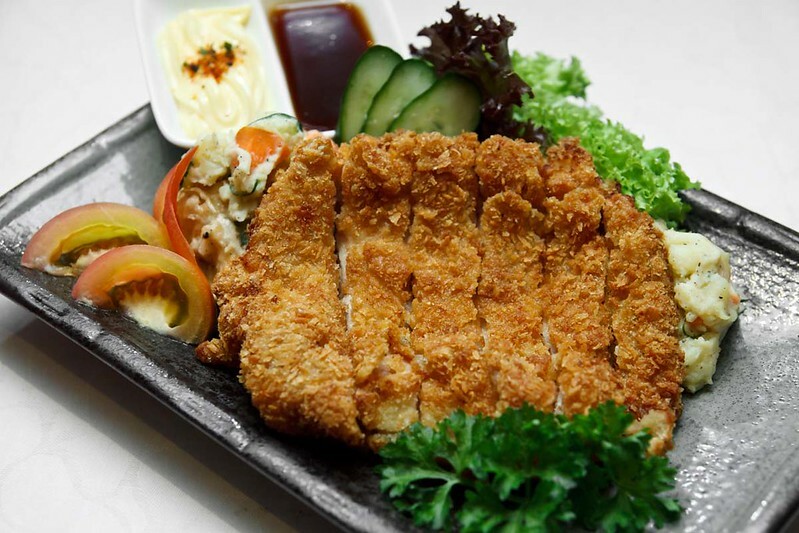 Breadcrumbling deep fried chicken cutlet with crunchy outer layer, tender and juiciness locked within. It is hard not to like it. 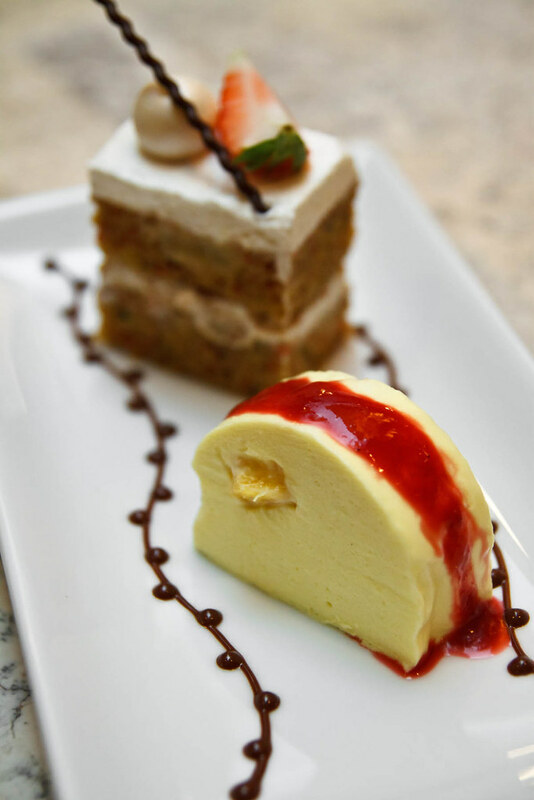 Comes to the dessert, they have Carrot Mascarpone Cake and Pineapple Mousse. 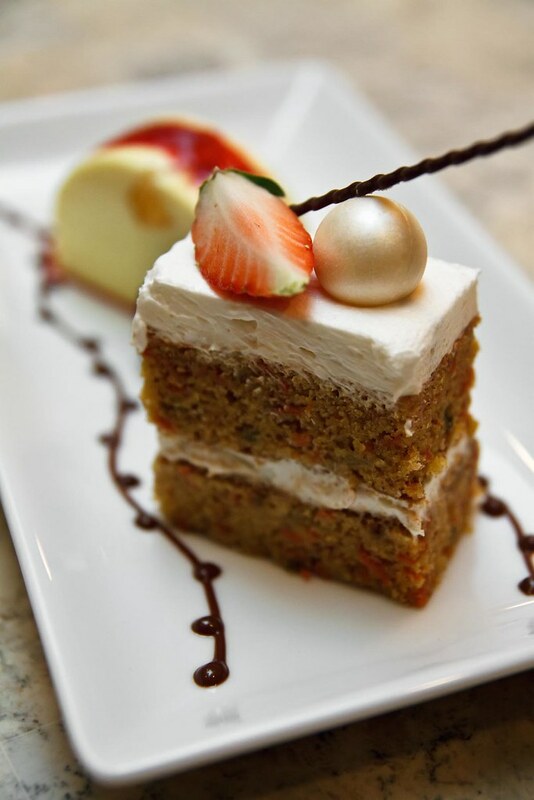 Light, moist, full of flavour, the carrot cake with chewy nuts bite and wonderful mascarpone frosting is indeed a perfect centrepiece to end the meal. 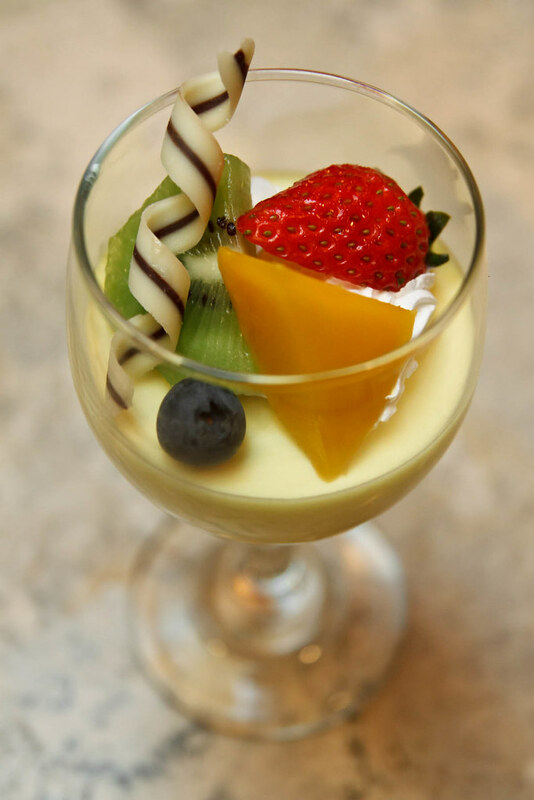 The pineapple mousse is equally good too. 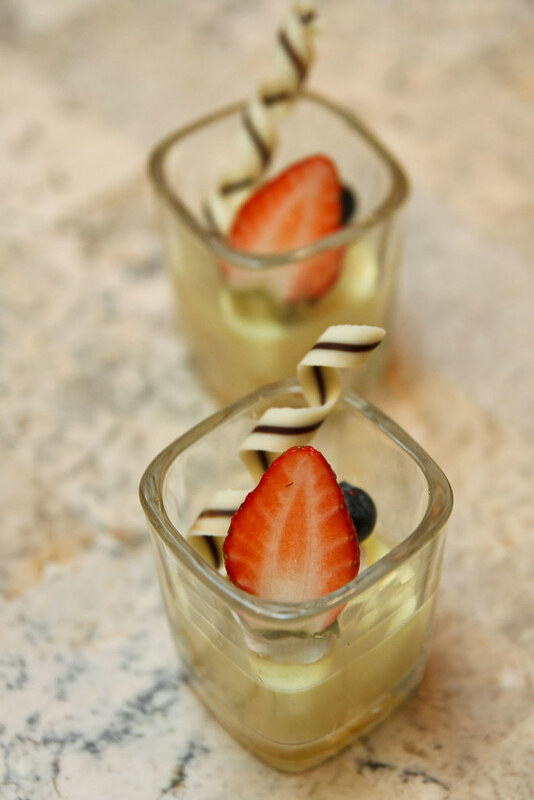 Gelatin-like and velvety smooth mousse tangles with a touch of sourishness from pineapple lays within it. 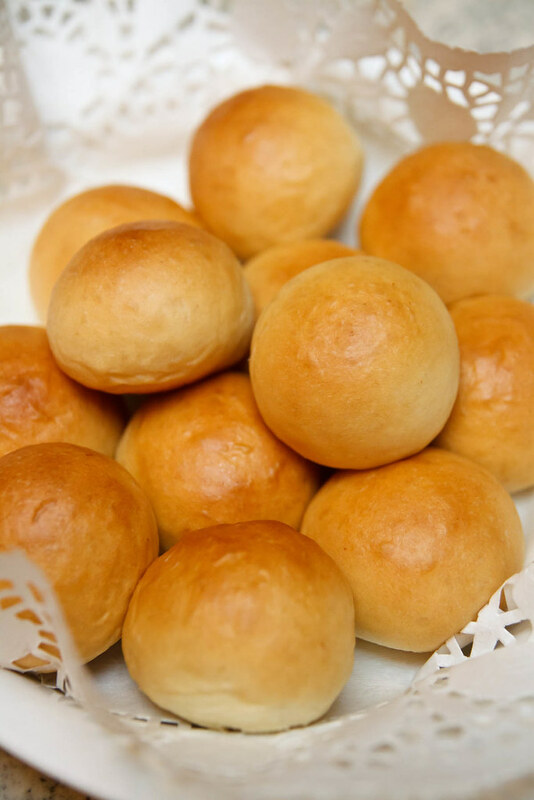 Freshly dished out from the oven, the garlic bun and butter nun. 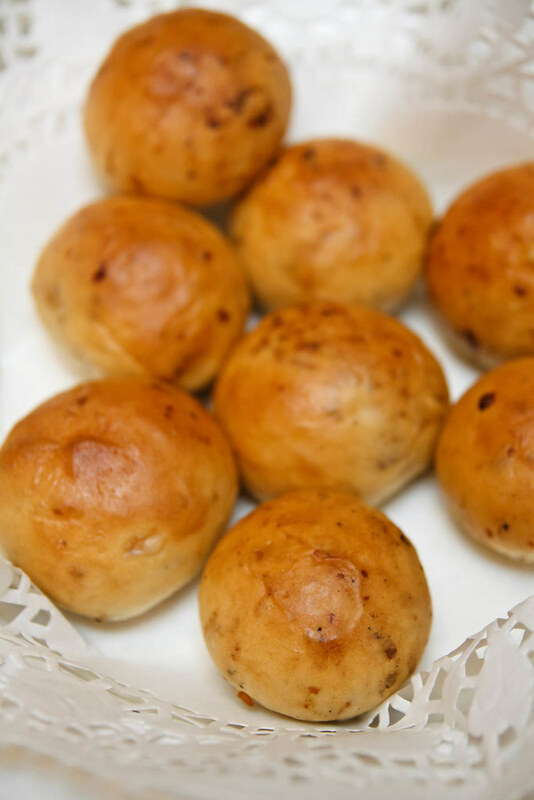 Aromatic, oh-so- fluffy, buttery, we can’t get enough of this. Look no futher, book your mum a special treat on her special day at Armada Utara Coffee House.